They’ve been teasing fans with news of a new album on the way for months, and now, that promise is coming to fruition. Linkin Park have announced they’ll release a shiny new single, “Burn It Down,” to rock radio on April 16. The song arrives on the band’s upcoming, fifth full-length studio album, which is slated to come out this summer. 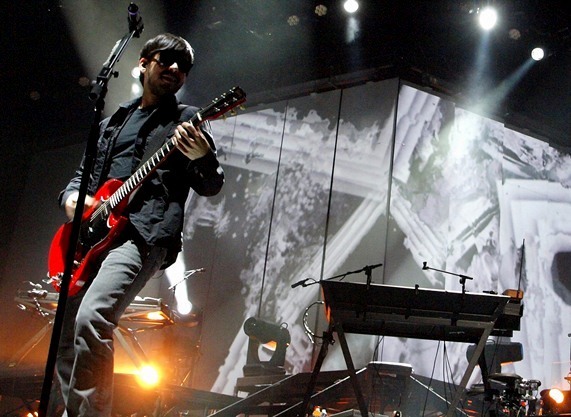 In a short video on Viddy, Linkin Park co-vocalist Mike Shinoda chated briefly about the new track. The 11 second clip was shot on the set for the “Burn It Down” video, where Shinoda is handling direction duties. Linkin Park’s other vocalist, Chester Bennington, recently dropped the news that the new album will be bigger and heavier than the band’s previous. “With this album, we’ve incorporated a lot of guitar work with big choruses and the heavier electronic stuff to give it that really big wall of sound feeling without getting too metal,” he told Kerring! “This will be more familiar to people than ‘A Thousand Suns’ was, where we were like ‘ …We’re just going to go bonkers.